Most important, the attacks on the al-Houthis shine the spotlight on a growing situation in the region: a war between the Sunnis and Shiites. In Iraq and Syria, a full-scale war is underway. A battle rages in Tikrit with the Sunni Islamic State and its allies on one side, and a complex combination of the Shiite-dominated Iraqi army, Shiite militias, Sunni Arab tribal groups and Sunni Kurdish forces on the other. In Syria, the battle is between the secular government of President Bashar al Assad — nevertheless dominated by Alawites, a Shiite sect — and Sunni groups. However, Sunnis, Druze and Christians have sided with the regime as well. It is not reasonable to refer to the Syrian opposition as a coalition because there is significant internal hostility. Indeed, there is tension not only between the Shiites and Sunnis, but also within the Shiite and Sunni groups. In Yemen, a local power struggle among warring factions has been branded and elevated into a sectarian conflict for the benefit of the regional players. It is much more complex than simply a Shiite-Sunni war. At the same time, it cannot be understood without the Sunni-Shiite component. However, paradoxically, the rise of the Islamic State has reinvigorated Iranian power in two ways. First, while the propaganda of the Islamic State is horrific and designed to make the group look not only terrifying, but also enormously powerful, the truth is that, although it is not weak, the Islamic State represents merely a fraction of Iraq's Sunni community, and the Sunnis are a minority in Iraq. At the same time, the propaganda has mobilized the Shiite community to resist the Islamic State, allowed Iranian advisers to effectively manage the Shiite militias in Iraq and (to some extent) the Iraqi army, and forced the United States to use its airpower in tandem with Iranian-led ground forces. Given the American strategy of blocking the Islamic State — even if doing so requires cooperation with Iran — while not putting forces on the ground, this means that as the Islamic State's underlying weakness becomes more of a factor, the default winner in Iraq will be Iran. When you look at a map and think of the situation in Yemen, you get a sense of why the Saudis and Gulf Cooperation Council countries had to do something. Given what is happening along the northern border of the Arabian Peninsula, the Saudis have to calculate the possibility of an al-Houthi victory establishing a pro-Iranian, Shiite state to its south as well. The Saudis and the Gulf countries would be facing the possibility of a Shiite or Iranian encirclement. These are not the same thing, but they are linked in complex ways. Working in the Saudis' favor is the fact that the al-Houthis are not Shiite proxies like Hezbollah, and Saudi money combined with military operations designed to cut off Iranian supply lines to the al-Houthis could mitigate the threat overall. Either way, the Saudis had to act. The American strategy is more complex. As I've written before, the United States has undertaken a strategy focused on maintaining the balance of power. This kind of approach is always messy because the goal is not to support any particular power, but to maintain a balance between multiple powers. Therefore, the United States is providing intelligence and mission planning for the Saudi coalition against the al-Houthis and their Iranian allies. In Iraq, the United States is providing support to Shiites — and by extension, their allies — by bombing Islamic State installations. In Syria, U.S. strategy is so complex that it defies clear explanation. That is the nature of refusing large-scale intervention but being committed to a balance of power. The United States can oppose Iran in one theater and support it in another. The more simplistic models of the Cold War are not relevant here. Relatively silent but absolutely vital to this tale is Turkey. It has the largest economy in the region and has the largest army, although just how good its army is can be debated. Turkey is watching chaos along its southern border, rising tension in the Caucasus, and conflict across the Black Sea. Of all these, Syria and Iraq and the potential rise of Iranian power is the most disturbing. Turkey has said little about Iran of late, but last week Ankara suddenly criticized Tehran and accused Iran of trying to dominate the region. Turkey frequently says things without doing anything, but the development is still noteworthy. The evolution of Turkey would be the critical step in the emergence of a regional balance of power, in which local powers, not the United Kingdom or the United States, determine the outcome. The American role, like the British role before it, would not be directly waging war in the region but providing aid designed to stabilize the balance of power. That can be seen in Yemen or Iraq. It is extremely complex and not suited for simplistic or ideological analysis. But it is here, it is unfolding and it will represent the next generation of Middle Eastern dynamics. And if the Iranians put aside their theoretical nuclear weapons and focus on this, that will draw in the Turks and round out the balance of power. Other factors are helping, too. The ECB’s easing of credit is effectively subsidizing bank lending. The fiscal drag from austerity will be smaller this year, as the European Commission becomes more lenient. And the start of a banking union also helps; following the latest stress tests and asset quality review, banks have greater liquidity and more capital to lend to the private sector. As a result of these factors, eurozone growth has resumed, and eurozone equities have recently outperformed US equities. The weakening of the euro and the ECB’s aggressive measures may even stop the deflationary pressure later this year. But a more robust and sustained recovery still faces many challenges. For starters, political risks could derail progress. Greece, one hopes, will remain in the eurozone. But the difficult negotiations between the Syriza-led government and the “troika” (the ECB, the European Commission, and the International Monetary Fund) could cause an unintended accident – call it a “Grexident” – if an agreement on funding the country is not reached in the next few weeks. Moreover, Podemos, a leftist party in the Syriza mold, could come to power in Spain. Populist anti-euro parties of the right and the left are challenging Italian Prime Minister Matteo Renzi. And Marine Le Pen of the far-right National Front is polling well ahead of the 2017 French presidential election. Slow job creation and income growth may continue to fuel the populist backlash against austerity and reform. Even the ECB estimates that the eurozone unemployment rate will still be 9.9% in 2017 – well above the 7.2% average prior to the global financial crisis seven years ago. And austerity and reform fatigue in the eurozone periphery has been matched by bailout fatigue in the core, boosting support for a range of anti-euro parties in Germany, the Netherlands, and Finland. A second obstacle to sustained recovery is the eurozone’s bad neighborhood. Russia is becoming more assertive and aggressive in Ukraine, the Baltics, and even the Balkans (while sanctions against Russia have hurt many European economies). And the Middle East is burning just next door: the recent terrorist attacks in Paris and Copenhagen, and against foreign tourists in Tunisia, remind Europe that hundreds of homegrown jihadists could return from fighting in Syria, Iraq, or elsewhere and launch further attacks. Third, while ECB policies keep borrowing costs lower, private and public debt in the periphery countries, as a share of GDP, is high and still rising, because the denominator of the debt ratio – nominal GDP – is barely increasing. Thus, debt sustainability will remain an issue for these economies over the medium term. Fourth, fiscal policy remains contractionary, because Germany continues to reject a growing chorus of advice that it should undertake a short-term stimulus. Thus, higher German spending will not offset the impact of additional austerity in the periphery or the significant shortfall expected for the three-year, €300 billion ($325 billion) investment plan unveiled by European Commission President Jean-Claude Juncker. Fifth, structural reforms are still occurring at a snail’s pace, holding back potential growth. And, while structural reforms are necessary, some measures – for example, labor-market liberalization and pension overhauls – may boost the eurozone’s savings rate and thus weaken aggregate demand further (as occurred in Germany following its structural reforms a decade ago). Finally, Europe’s monetary union remains incomplete. Its long-term viability requires the development over time of a full banking union, fiscal union, economic union, and eventually political union. But the process of further European integration has stalled. If the eurozone unemployment rate is still too high by the end of 2016, annual inflation remains well below the ECB’s 2% target, and fiscal policies and structural reforms exert a short-term drag on economic growth, the only game in town may be continued quantitative easing. But the ongoing weakness of the euro – fed by such policies – is fueling growth in the eurozone’s current-account surplus. Indeed, as the euro weakens, the periphery countries’ external accounts have swung from deficit to balance and, increasingly, to surplus. Germany and the eurozone core were already running large surpluses; in the absence of policies to boost domestic demand, those surpluses have simply risen further. Thus, the ECB’s monetary policy will take on an increasingly beggar-thy-neighbor cast, leading to trade and currency tensions with the United States and other trade partners. To avoid this outcome, Germany needs to adopt policies – fiscal stimulus, higher spending on infrastructure and public investment, and more rapid wage growth – that would boost domestic spending and reduce the country’s external surplus. Unless, and until, Germany moves in this direction, no one should bet the farm on a more robust and sustained eurozone recovery. Marc Chandler, from Brown Brothers Harriman, says the liabilities incurred – pushing Greece’s debt to 180pc of GDP - almost fit the definition of “odious debt” under international law. “The Greek people have not been bailed out. The economy has contracted by a quarter. 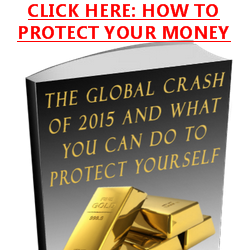 With deflation, nominal growth has collapsed and continues to contract,” he said. BUY land, advised Mark Twain; they’re not making it any more. In fact, land is not really scarce: the entire population of America could fit into Texas with more than an acre for each household to enjoy. What drives prices skyward is a collision between rampant demand and limited supply in the great metropolises like London, Mumbai and New York. In the past ten years real prices in Hong Kong have risen by 150%. Residential property in Mayfair, in central London, can go for as much as £55,000 ($82,000) per square metre. A square mile of Manhattan residential property costs $16.5 billion. Even in these great cities the scarcity is artificial. 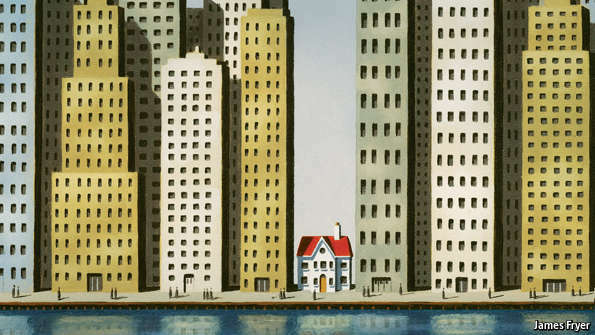 Regulatory limits on the height and density of buildings constrain supply and inflate prices. A recent analysis by academics at the London School of Economics estimates that land-use regulations in the West End of London inflate the price of office space by about 800%; in Milan and Paris the rules push up prices by around 300%. Most of the enormous value captured by landowners exists because it is well-nigh impossible to build new offices to compete those profits away. The costs of this misfiring property market are huge, mainly because of their effects on individuals. High housing prices force workers towards cheaper but less productive places. According to one study, employment in the Bay Area around San Francisco would be about five times larger than it is but for tight limits on construction. Tot up these costs in lost earnings and unrealised human potential, and the figures become dizzying. Lifting all the barriers to urban growth in America could raise the country’s GDP by between 6.5% and 13.5%, or by about $1 trillion-2 trillion. It is difficult to think of many other policies that would yield anything like that. 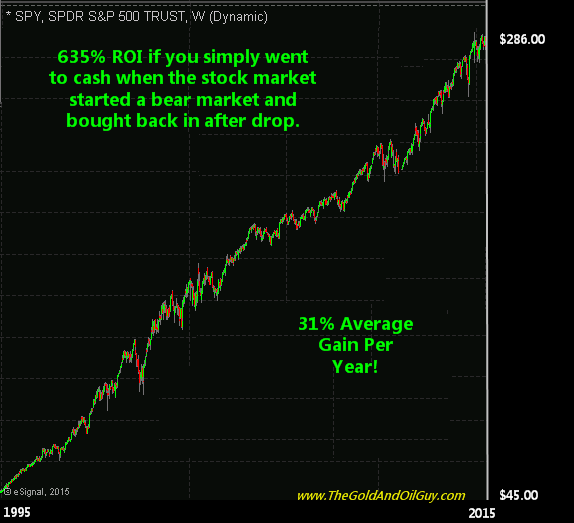 Two long-run trends have led to this fractured market. 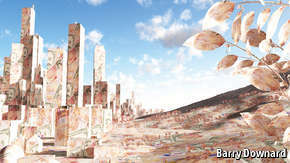 One is the revival of the city as the central cog in the global economic machine. In the 20th century, tumbling transport costs weakened the gravitational pull of the city; in the 21st, the digital revolution has restored it. Knowledge-intensive industries such as technology and finance thrive on the clustering of workers who share ideas and expertise. The economies and populations of metropolises like London, New York and San Francisco have rebounded as a result. What those cities have not regained is their historical ability to stretch in order to accommodate all those who want to come. There is a good reason for that: unconstrained urban growth in the late 19th century fostered crime and disease. Hence the second trend, the proliferation of green belts and rules on zoning. Over the course of the past century land-use rules have piled up so plentifully that getting planning permission is harder than hailing a cab on a wet afternoon. London has strict rules preventing new structures blocking certain views of St Paul’s Cathedral. Google’s plans to build housing on its Mountain View campus in Silicon Valley are being resisted on the ground that residents might keep pets, which could harm the local owl population. Nimbyish residents of low-density districts can exploit planning rules on everything from light levels to parking spaces to block plans for construction. A good thing, too, say many. The roads and rails criss-crossing big cities already creak under the pressure of growing populations. Dampening property prices hurts one of the few routes to wealth-accumulation still available to the middle classes. A cautious approach to development is the surest way to preserve public spaces and a city’s heritage: give economists their way, and they would quickly pave over Central Park. However well these arguments go down in local planning meetings, they wilt on closer scrutiny. Home ownership is not especially egalitarian. Many households are priced out of more vibrant places. It is no coincidence that the home-ownership rate in the metropolitan area of downtrodden Detroit, at 71%, is well above the 55% in booming San Francisco. You do not need to build a forest of skyscrapers for a lot more people to make their home in big cities. San Francisco could squeeze in twice as many and remain half as dense as Manhattan. Zoning codes were conceived as a way to balance the social good of a growing, productive city and the private costs that growth sometimes imposes. But land-use rules have evolved into something more pernicious: a mechanism through which landowners are handed both unwarranted windfalls and the means to prevent others from exercising control over their property. Even small steps to restore a healthier balance between private and public good would yield handsome returns. Policymakers should focus on two things. First, they should ensure that city-planning decisions are made from the top down. When decisions are taken at local level, land-use rules tend to be stricter. Individual districts receive fewer of the benefits of a larger metropolitan population (jobs and taxes) than their costs (blocked views and congested streets). Moving housing-supply decisions to city level should mean that due weight is put on the benefits of growth. Any restrictions on building won by one district should be offset by increases elsewhere, so the city as a whole keeps to its development budget. Second, governments should impose higher taxes on the value of land. In most rich countries, land-value taxes account for a small share of total revenues. Land taxes are efficient. They are difficult to dodge; you cannot stuff land into a bank-vault in Luxembourg. Whereas a high tax on property can discourage investment, a high tax on land creates an incentive to develop unused sites. Land-value taxes can also help cater for newcomers. New infrastructure raises the value of nearby land, automatically feeding through into revenues—which helps to pay for the improvements. Neither better zoning nor land taxes are easy to impose. There are logistical hurdles, such as assessing the value of land with the property stripped out. The politics is harder still. But politically tricky problems are ten-a-penny. Few offer the people who solve them a trillion-dollar reward. Two months ago, when looking at the most recent physical gold withdrawal numbers reported by the Fed, we observed something peculiar: between the publicly reported surprise redemption by the Netherlands (122 tons) and the just as surprise redemption by the Bundesbank (85 tons), at least 207 tons of gold should have vacated the NY Fed's gold vault. 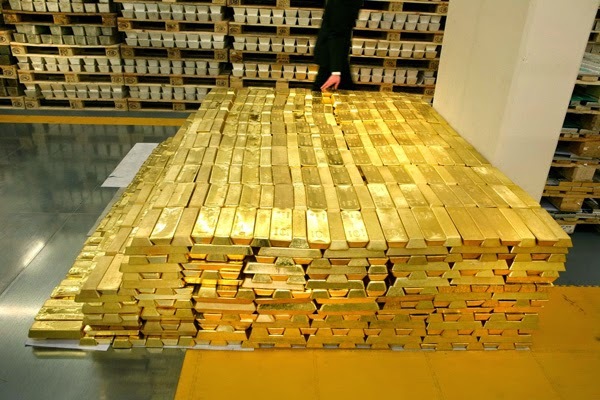 Instead, the Fed reported that in all of 2014 "only" 177 tons of gold were shipped out of the massive gold vault located 90 feet below 33 Liberty Street. Somehow the delta between what we "shipped" and what was "received" in the past year was a whopping 30 tons, or about 15% of the total - a gap that is big enough to make even China's outright fraudulent trade numbers seems sterling by comparison. As of 6 p.m. Tuesday, a total of 46 countries had applied to be founding members of #AIIB. And while Washington has proclaimed Russia as "isolated", we wonder what the AIIB applications makes America? Argentina, once a regional energy leader, is now better known for financial busts and bombastic politicians than hydrocarbons prospects. Still, with a resource potential both vast and untapped, the nation has never been far from energy investors' minds. The question today is just how much Argentina is willing to change and how this plays into a low oil price environment that is already negatively impacting investment elsewhere. Argentina's deliberate efforts to appease some of its international creditors, combined with an overhaul of the nation's hydrocarbons framework have the potential to lure foreign investors back. The promise of a change of government - and potentially a more market-friendly approach - later this year should add to the country's appeal. Experts have kept a watchful eye on Argentina ever since the US Energy Information Administration identified the nation as holding the world's second largest shale gas and fourth largest shale oil reserves. This translates to an estimated 802 trillion cubic feet of technically recoverable shale gas and 27 billion barrels of oil. Yet unlike the production boom unleashed by the shale revolution in the United States, Argentina's vast shale plays have remained comparatively idle. Meanwhile, exploration and production in the unconventional fields is slowly picking up. Argentina is one of just four countries to produce commercial quantities of shale oil or gas - joining the US, Canada, and China - and is the only producer in Latin America. Most of this production has come from the Vaca Muerta formation in west-central Argentina. Argentina's shale fields are currently producing 41,000 barrels of oil equivalent per day from 320 wells. These are important milestones for the nation's oil and gas industry and YPF expects both figures to increase in 2015. Foreign investors are also trickling back to Argentina. Chevron was the first oil major to take the plunge with a deal worth a potential $15 billion. YPF has also received commitments from DOW Chemical for a potential $188 million and Petronas for a potential $9 billion, both in Vaca Muerta. YPF has also signed preliminary deals with Wintershall and Sinopec. The Argentine government hopes the overhaul of the national hydrocarbons law will further spur investor activity. Many of the benefits included in Chevron's deal have been carried over, including the ability to export up to 20% of production free of tariffs or sold domestically at international prices. The legislation also caps royalties for oil-producing provinces at 12% and centralizes the bidding process. Replicating the United States' success was always going to be a tall order. The unique set of factors, including easy access to financial and human capital, technology, know-how and a favorable regulatory and business environment - are not easily reproduced in Argentina or elsewhere. As for the low price environment, Argentina's subsidized domestic market will shield producers in the short term. Oil prices are set at $77.50 per barrel and natural gas as $7.5 per million British thermal units (MMBtu). Of course, this provides no such protection for exporters. A new administration will need to address the issues of subsidies as well as boost local production in order to reduce the energy trade deficit that is costing Argentina's government an estimated $6 - 8 billion per year. In the meantime, excitement around Argentina's energy prospects is welcome and while investors are wise to remain cautious, there are positive signs that the nation's energy ambitions are within reach. Volatility will be high “possibly until earnings can catch back up with valuations,” writes Schwab’s Sonders. • Stocks have gone 28 trading days without back-to-back gains; a very unique experience historically. • Uncertainty abounds, associated with Federal Reserve policy, economic surprises on the weak side, and earnings which have dropped into negative territory. • Investor sentiment is swinging more wildly than is normally the case. One of our theses for 2015 has been heightened volatility, and with the kind of up-and-down action we’re seeing in the stock market, that view has been accurate to-date. Two weeks ago the S&P 500 was near an all-time high, and then last week lost about 2.5%. In fact, all of the major U.S. equity indexes were down more than 2% last week. And as I write this today, the market is up over 1%. With only two trading days (including today) left in the first quarter, the S&P 500 is about flat for the quarter. 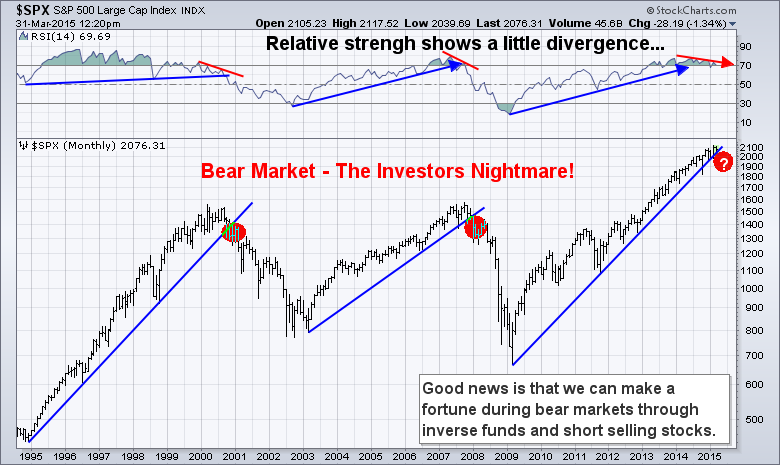 This type of market action can cause a lot of angst, especially among individual investors. Bespoke Investment Group (BIG) is among the best in the business at analyzing short-term market movements for any longer-term implications. They show that the S&P 500 has seen nine swings of 3.5% or more—with the largest being the 7% run from early-to-late February. For some of the smaller, less broad-based indexes, the swings have been even greater. Twitter was alive last week around the fact that the S&P 500 has gone a very long stretch without being able to put together back-to-back gains. As of Friday, that streak is now 28 trading days. A streak that long is so rare, it’s only happened twice before since World War II—in May 1970 and April 1994. To get an idea of how these streaks impacted returns historically BIG looked at a slightly larger sample set, by including streaks of at least 25 trading days. On average, long streaks without back-to-back gains were actually positive for returns looking forward a month. Be very careful about trying to pinpoint a single thing on a daily basis. It’s human nature—and the media’s obsession—to try to find a particular reason for the market’s action on any given day; but more often than not, it’s simply the imbalance between supply and demand (i.e., “more buyers than sellers” or “more sellers than buyers”) that defines short-term market movements. The Citigroup Economic Surprise Index (CESI) for the United States has plunged over the past couple of months—the Ned Davis Research (NDR) version of the index below is smoothed over rolling eight-day periods. The index does not measure economic growth in an absolute sense; instead it measures whether economic data is coming in better (above zero) or worse (below zero) than expected. The stock market has historically had its worst performance when the U.S. CESI is in its worst zone; as has been the case recently. The culprits behind the weakness have been dominated by the harsh winter weather in parts of the country; as well as the West Coast port disruptions. Once again last week, weaker-than-expected reports outnumbered stronger-than-expected reports, which has been the trend for a couple of months. The most headline-grabbing miss last week was the revision to fourth quarter (2014) real gross domestic product (GDP), which was unrevised at 2.2%; below the 2.4% consensus expectation. 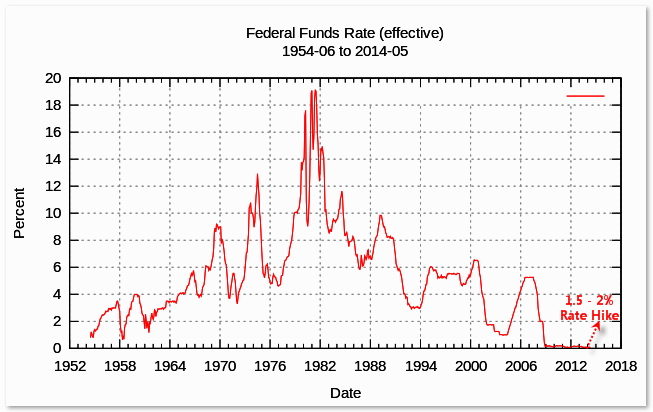 At the latest CESI low, it was 1.7 standard deviations below the historic mean, according to NDR. Importantly though, the index is mean-reverting and showing signs of reversing from its latest slump, which is good news for the economy…and possibly for stocks. As the CESI has recovered historically, stock market performance picks up meaningfully. Caveat: These are averages and not indicative of the likely path this time (think “past performance is not guarantee of future results”). Two of the more timely and leading economic indicators—both of which saw better readings upon their most recent releases—are Markit’s composite purchasing managers index (PMI) and initial unemployment claims. Some next-level leading indicators have been signaling a turn for the better as well; including mortgage applications for home purchases, railcar loadings, and hotel revenues. Further supports include existing home prices, bank lending, and consumer net worth. The problem in the shorter-term though—at least for the stock market—is that economic weakness, the stronger dollar, and the plunge in oil prices have all contributed to a drop in earnings growth. This has been a topic I’ve been covering over various mediums recently. In the just-released broad fourth quarter 2014 corporate profits report (which comes out in conjunction with GDP), foreign profits of U.S. companies fell a sharp 5.3%—the largest quarter-over-quarter decline since 2008. That puts foreign profits only 5% above their 2008 peak. On the other hand, although domestic profits of U.S. companies edged up only 0.3% quarter-over-quarter, domestic profits reached another record high and are 22% above their 2006 peak. The two main culprits behind the earnings weakness have been the plunge in oil prices (energy sector) and the strength in the dollar (multi-national companies). Honing in on the S&P 500 specifically, operating earnings have moved into negative territory on a quarter-over-quarter basis; and are expected to remain negative for the next two quarters. According to BCA Research, since the 1970s, there were three non-recessionary periods when profit growth slipped into negative territory: 1986, 1998 and 2012. In 1986, stocks pulled back by more than 10% (and subsequently experienced the Crash of 1987); stocks fell by about 20% in 1998; and stocks dropped by 10% and then 8% in a short span of time. The swings in economic data, which have contributed to the swings in the stock market, have all contributed to the swings in investor sentiment. As I’ve noted in recent commentary—as well as on Twitter—bearishness had come back fairly quickly recently, which had been surprising given the market trading near all-time highs two weeks ago. But that has changed, as bullish sentiment on the part of individual investors saw its biggest weekly increase of this year. The dominant measure for individual investor sentiment comes from the American Association of Individual Investors (AAII) and you can see the latest gyrations below. The good news is the rebound in bullishness has not taken it above the 2009-2015 bull market average of 38.8%. 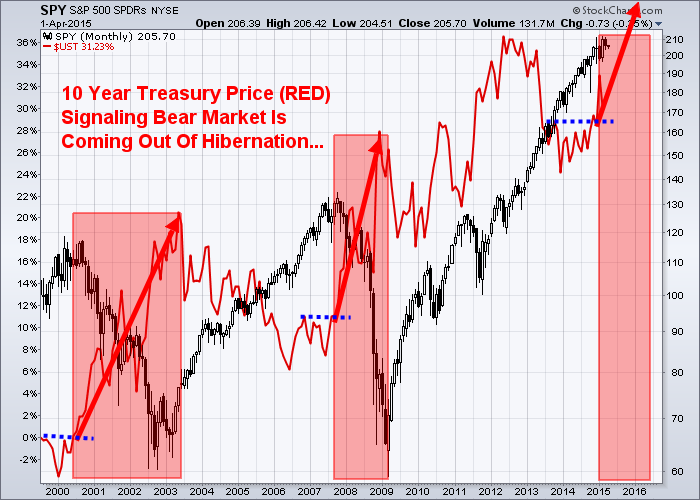 But it does highlight the skittishness of investor sentiment given the current state of Fed/economic/earnings affairs. We reaffirm our view that although the secular bull market that began in 2009 is not over; it’s likely to be a much choppier ride for investors…possibly until earnings can catch back up to valuations.